Share the post "Make-Your-Own Valentine’s Day Crafts"
It is almost time to celebrate the wonder of love. Yet, Valentine’s Day is not just for lovers; everyone can get in on the fun. With these make-your-own Valentine’s Day crafts, you can share love and friendship with everyone. The best part? 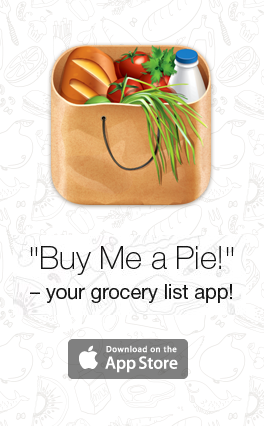 All you need are some simple items that don’t even require a shopping list. These heart signs will look just like luxurious jewellery! Cut heart shapes out of patterned paper. On a disposable surface (newspaper, plastic tablecloth, etc.,) lay the hearts flat with the patterned sides facing up. Put some dabs of glue on each heart and sprinkle the hearts with glitter. Leave the hearts flat to dry. 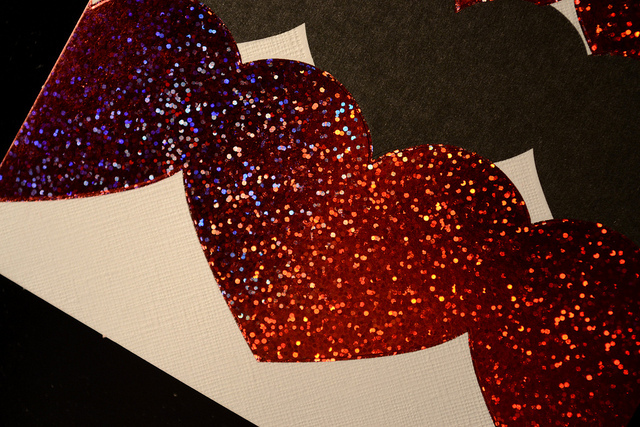 Once dry, pick up the hearts and shake the excess glitter out on the newspaper or tablecloth. Glue or tape the backs of the hearts to a ribbon. The length of the ribbon is up to you; just keep decorating to your heart’s content! The art of melted crayon shavings will never go out of style. All you need are crayons, wax paper, an iron, and a pair of scissors! 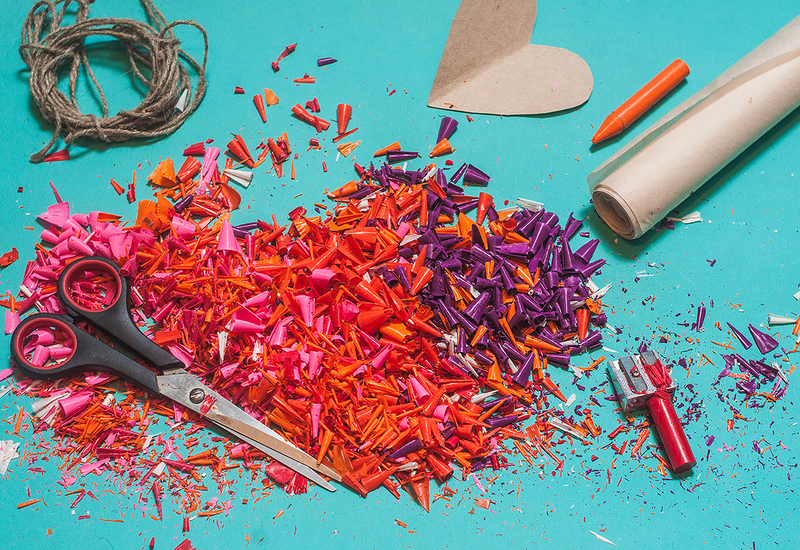 Use scissors or a pencil sharpener to create crayon shavings in red, pink, and purple. Place the shavings on the wax paper. Place a second sheet of wax paper on top of the shavings. 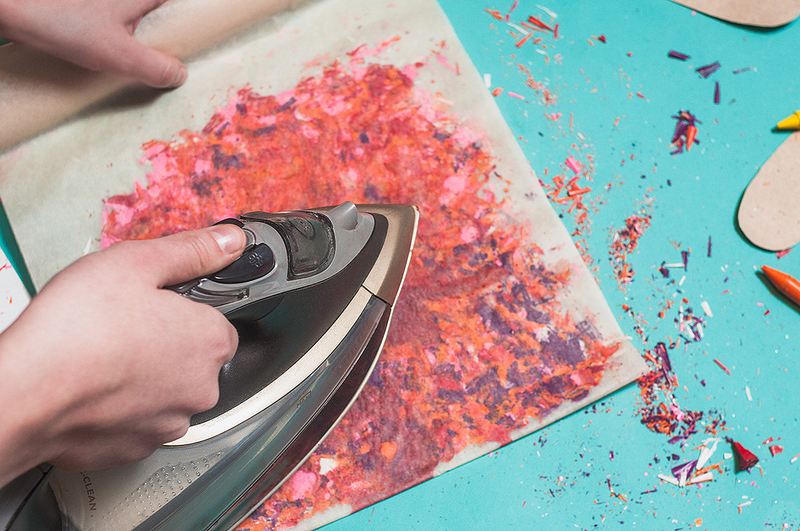 On the lowest heat setting, iron the wax paper and shavings for 1 second. For best results, keep a newspaper underneath the sheets of wax paper. 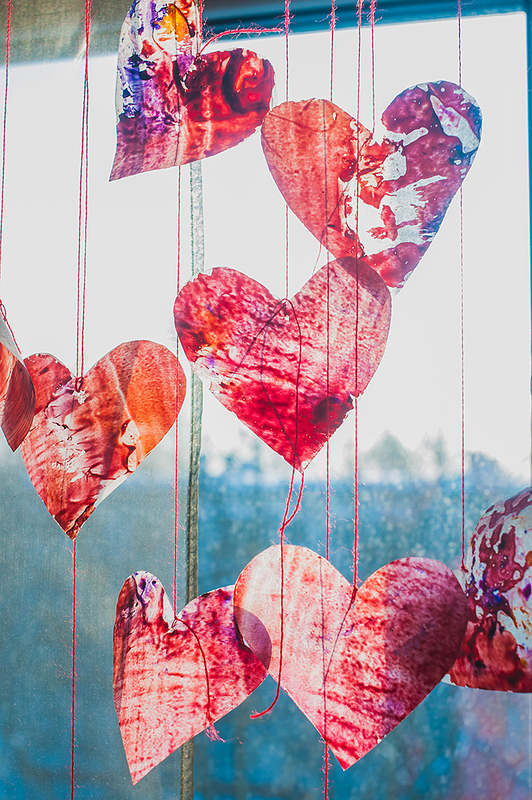 Once the papers are cooled off, you can cut out heart shapes of varying sizes. If you want to use a stencil, use some pieces of cardboard or empty food packages. Finally, punch a hole at the top, tie a ribbon through the hearts, and hang them to create a pretty banner. Handmade crafts are always a heartfelt way to express your love. Make these cute cards in a snap! Use patterned paper or construction paper to cut out four hearts. Punch a hole in the middle of three of them. Punch a hole in the bottom of all four hearts. Punch holes around the perimeter of the heart without the center hole. Now use some string or ribbon to weave through the perimeter of the hole (except the bottom hole.) You can tie the string in the back. With the woven heart on top, stack all the hearts. Connect the hearts with a fastener in all the bottom holes. Now flip the stack and weave another string through the center holes. You can now fan out the hearts. Tie the second string in the back of the bottom heart. 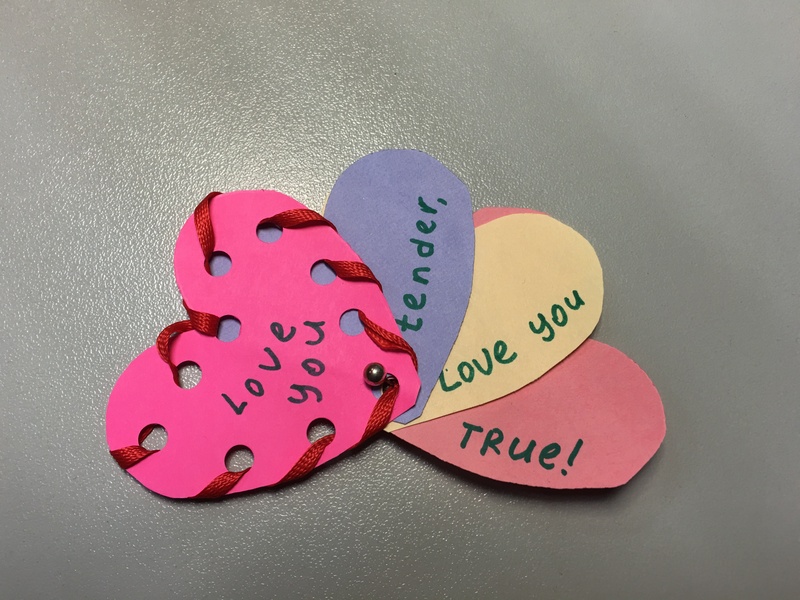 Decorate and write on the Valentine’s “fan” with a personalized message!